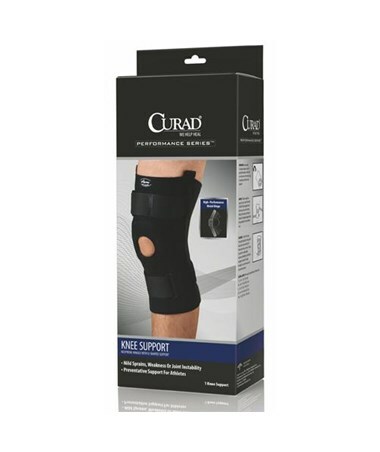 Curad's U-Shaped Hinged Knee Support is designed for mild sprains, weakness or joint instability, as well as preventative support for athletes. The support is made of a lightweight neoprene with a high-performance metal hinge, removable buttress, and 2 hook & loop closure system. 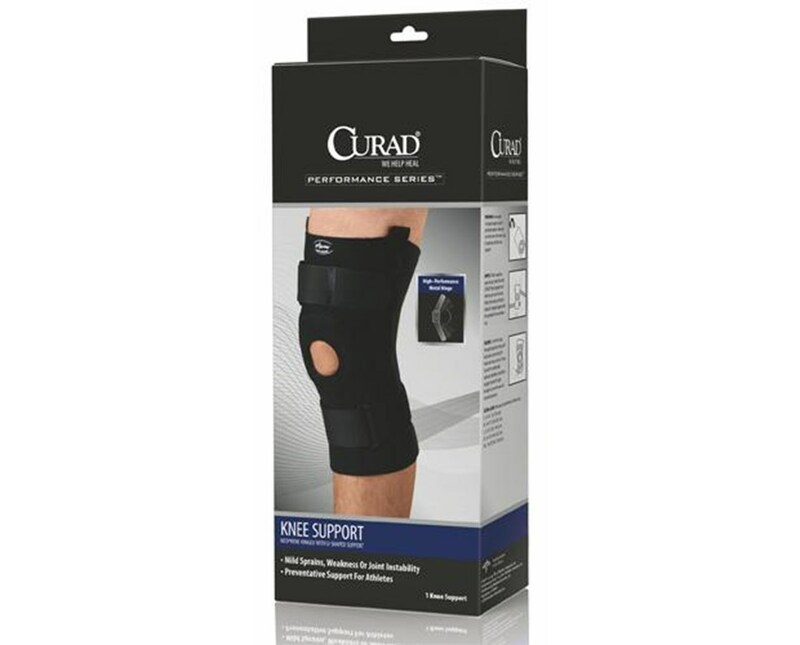 We offer Curad's U-Shaped Hinged Knee Support in five sizes, sold individually (except for Large, which also comes by the case). Select from the drop down menu above.